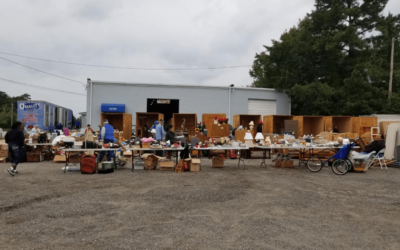 Each year, the Lexington Park Lions Club holds a community yard sale. It’s always big. It’s always popular. And you never know what treasures you may find. 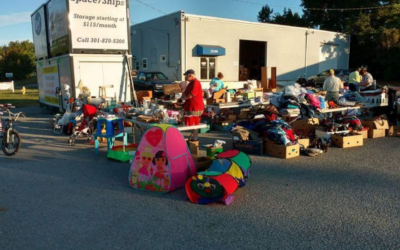 To donate your own items to the sale please contact Bob Hayward at 301-904-4710 or drop them off the morning of the sale at the location above. All donations are tax deductible. All proceeds benefit college scholarship program for GMHS students. 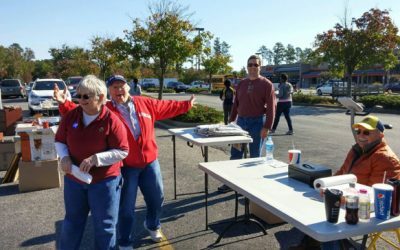 The 2017 Lexington Park Lions Club annual yard sale Saturday, September 23, was a rousing success, bringing in more than $1000 for our scholarship program for Great Mills High School seniors. We play an active role in various committees and activities in the Maryland counties of St. Mary’s, Calvert, Charles, Montgomery, and Prince George’s, and Washington, DC. Our primary focus is providing a variety of services to those with vision impairments, however, our efforts have expanded to include serving those with hearing loss and those suffering from childhood diabetes.We have pledged unselfish service to the Lexington Park community and to those less fortunate than us. Chartered in 1946, the Lexington Park Lions Club is part of Lions Clubs International. We fall under the organizational guidance of District 22-C, which encompasses the Maryland counties of St. Mary’s, Calvert, Charles, Montgomery, and Prince George’s, and Washington, DC. Members of the Lexington Park Lions Club represent a cross-section of the St. Mary’s County farm, business, government, and retiree communities. Lions Clubs International is the world's largest service club organization, with 1.35 million members in more than 46,000 clubs and countless stories of Lions acting on the same simple idea: let's improve our communities.